Sims Metal Management's move into China is progressing with the company completing the subscription for a three-year HK$316 million convertible bond in Chiho-Tiande Group Limited (CTG). The bond has a 4 per cent coupon and is convertible into 53 million CTG shares at HK$6 per share. In January Sims acquired 16 per cent of the existing shares of CTG and an option to acquire another 2 per cent of existing shares. It also has three-year warrants for 13 million new CTG shares at an exercise price of HK$6 per warrant. Shares in Tox Free Solutions continue to trade around their two year high of $2.73. Qube Logistics continues to develop its rail services and to expand through acquisition. The latest deal is an agreement with Westgate Ports Pty Ltd and Westgate Port Services Pty Ltd to acquire the assets and take an assignment of the leases that Westgate holds at Victoria Dock in Melbourne. The assets will sit in Qube's Logistics division. Qube said the transaction provides it with long-term tenure on a major site in Australia's busiest container port precinct. Consideration is around $47 million, to be paid through the issue of $7 million of Qube shares at $1.4749 per share and the balance in cash from Qube's existing cash and debt facilities. Although subject to a small number of conditions, the transaction is expected to be completed this month. Westgate has 18 years remaining on a lease over 17 hectares of strategically located land at Victoria Dock. The site comprises vessel berths, rail terminal, hardstand and warehousing plus a significant area to develop further capacity. Qube expects to spend around $15 million over the next 12-18 months to develop this capacity. Managing director, Maurice James, said "The strategic advantage of having a major facility with scope for further expansion located at the port is very important to Qube's growth plans." Qube intends to consolidate some of its existing Melbourne operations onto the Westgate site to achieve cost savings and synergies. Following the capital expenditure, Qube expects to have significant capacity to grow its Melbourne operations on the site over the medium to longer term. Qube will also lease new warehousing facilities from entities associated with the vendor at Altona in Western Melbourne and Lyndhurst in South East Melbourne following completion of the development of these facilities. Qube said it intends to develop rail facilities adjacent to each of these to complement its strategy of port-rail logistics transport. As part of the transaction, Qube will enter an alliance agreement with Salta Properties on logistics and warehouse activities including jointly promoting the use of rail transport to and from the Port of Melbourne using a range of existing and proposed inland terminals operated by Qube and or Salta. Qube will have the right to operate any inland terminals developed at Altona and Lyndhurst. with a Melbourne metropolitan network of inland terminals, said the partners. This network will be connected to Qube's port logistics terminals located at Dynon and Victoria Dock. This will provide a complete rail and road solution that is capable of significantly reducing road congestion and optimizing container logistic movement to and from the Port of Melbourne, said Mr James. "The alliance agreement is a tangible way to work together to realize the significant opportunity to establish an efficient network of intermodal facilities to service Melbourne's growing container market and to mirror and complement our intermodal strategy nationally", he said. Infigen Energy is to jointly develop a portfolio of solar energy projects with US wind and solar developer Pioneer Green Energy. The agreement provides for 300 MW of solar energy projects in California, Arizona and Texas. Projects will range in size from 20 MW to 100 MW, and construction could begin from 2013 subject to market conditions. "We are excited about this transaction as it adds advanced development projects to our portfolio, allowing Infigen to grow its business in markets that are complementary to our existing operating assets," said Andrew Flanagan, vice president of Development & Asset Management at Infigen Energy. The projects combine Pioneer's development resources and capabilities with Infigen's project execution expertise and operating strength, said Cyrus Tashakkori, vice president and head of Pioneer's solar development. Formed in 2009, Pioneer was created to meet the US' demand for green energy projects. The company is headed by Andy Bowman, a veteran wind industry executive, and is based in Austin, Texas, with offices in California and staff on the east coast. The company's seven founders have collectively helped to develop more than 2,500 MW of wind projects around the country that are now owned and operated by major renewable energy companies. Criticism of the federal government's Clean Energy Finance Corporation ignores the value the fund will bring to Australia. Too often criticism about government support for renewables ignores the opportunity cost of government funding that would be required if there were no renewable energy, said CBD managing director, Gerry McGowan. The Clean Energy Finance Corporation will be located in Sydney and will fund $10 billion in renewable energy projects. Mr McGowan says Australia was in danger of slipping behind global support for renewable energy, which underlines why a renewable energy business like CBD needs to have an international business strategy. "CBD is finding opportunities for renewable energy projects in the US and Europe and while there is significant scope in Australia, government support for this seems to get undermined by critics," he said. "Renewable energy is cheaper to produce, costs of coal and gas fired power will only go up, and the cost of building new power stations, which is the opportunity cost, is enormous. "A country that understands this formula is Germany, which has a 100 per cent renewable energy target, with currently 21 per cent of its power from renewables compared with Australia's 8 per cent. Germany, with far less sunlight than Australia, has 150 million solar panels installed, or 25,000 MW, which is more than Australia's entire baseload capacity. By comparison, Australia has a mere 1,250 MW of photovoltaic panels installed. "In the recent cold snap in Europe, Germany exported energy to the predominantly nuclear powered France, which shows the reliability of renewables that is often missed. "A lot of what Germany has achieved has been through feed in tariffs which can be an effective mechanism when operating at the right level. "When NSW introduced a feed in tariff scheme and then abandoned it because of its popularity, critics focused on its potential cost and ignored opportunity cost entirely. Actual cost of the scheme will be approximately $1.5 billion, not a potential $4 billion cost highlighted by critics, and it created 380 MW of solar power on people's rooftops which will generate electricity for the next 25 years. "In comparison, to build a new coal fired power station in the Hunter Valley, which the population would not want, would cost about $1 billion to generate 500 MW plus the additional ongoing operating costs and the cost of the transmission assets," said Mr McGowan. "It is quite possible these same critics will accuse CBD of having a vested interest in supporting the Australian government's Clean Energy fund while ignoring the huge benefits the fund can bring. "Sure CBD has an interest, but we also have a pipeline of projects in Europe and the US, which has just zoomed past China, according to the latest Ernst & Young Renewable Energy Attractiveness Index. What these countries appreciate is the divergent cost of renewables and coal fired power. "In NSW it currently costs between 5 and 7 cents a kilowatt hour to produce solar energy compared with coal fired power at between 20 and 30 cents a kilowatt hour and 43 cents at peak. Tyre recycler Carbon Polymers made a loss after tax of $2.5 million for the half year to 31 December 2011. Revenue rose to $747,000, but there were significant costs, and the non-executive directors will not take cash for their directors' fees this financial year. During the half year the company restarted the Reclaim Industries business after acquiring its business assets in June 2011. The assets needed significant improvement and maintenance to return them to full working order, but the company said it expects to be able to report significant improvements in sales in the short term. In December 2011 Carbon Polymers purchased additional plant and equipment and some of this has been installed and recommissioned at the Smithfield plant in NSW. This will substantially increase its ability to supply superfine product to customers and it is looking to achieve a similar rollout of additional plant at its other sites. Intermoco has ceased to be substantial shareholder in New Zealand Stock Exchange listed Energy Mad Limited. It has sold 900,000 shares for $473,266, and its holding has fallen from 7.36 per cent to 4.97 per cent. Shares in Mission NewEnergy fell to an all time low of 90 cents on 7 March, as the company faces possible delisting from Nasdaq. The next day Mission announced that it had a letter dated 6 March from Nasdaq indicating that it is not in compliance with the minimum market value of publicly held shares, which is US$15 million. Mission has until 4 September to regain compliance - where Mission closes at US$15 million or more for a minimum of 10 consecutive business days. This notification is in addition to the letter from the Nasdaq in September 2011 indicating that Mission was not in compliance with the minimum market value of listed securities - a minimum of US$50 million for at least 10 consecutive trading days by 19 March 2012. As Mission is unable to regain compliance by 19 March, it may be subject to possible delisting. If so Mission may appeal the determination. Electricity storage company RedFlow has added three new directors to its board and lost one director through resignation. The new directors are Bruce Brown, Patrick Mackey and Richard Aird. Their appointment follows that of Howard Stack as chairman last month. Mr Brown was previously managing director and chief executive of Campbell Brothers Ltd, said to be one of Queensland's most successful industrial companies, where he managed much of the company's international expansion. He remains a non-executive director of Campbell Brothers, a director of Transpacific Industries Ltd and was previously chairman of Flight Centre Ltd.
Mr Mackey is a co-owner of PTE Hydraulics Pty Ltd, a privately owned manufacturing business supplying precision products to industrial companies in Australia and internationally. 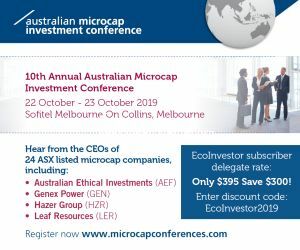 He is a chartered accountant and has previously treasurer and commercial manager of Utah Mining Australia, global finance director of DHL Business Systems, and commercial manager of the Oilmin/Moonie Oil Group. Mr Aird has been chief operating officer of RedFlow since early 2010 and was a RedFlow director until the company's listing on the ASX. He is responsible for all RedFlow's manufacturing, supply chain activities, including the transition of the manufacturing and supply chain to Singapore. He joins the board as an executive director. Mr Stack said "The addition of these three directors significantly extends the range of capabilities and experience of the board as RedFlow moves to offshore manufacturing and seeks to penetrate international markets." Syle saw its half year revenue rise from $3.9 million to $4.2 million, interim half on interim half, but the after tax loss also rose, from $2 million to $2.6 million. The loss from continuing operations was $2,8 million. Net assets fell to $1.6 million. WestSide Corporation has not waited for Liquefied Natural Gas to decide if it will proceed with a takeover offer and has announced a 2-for-5 entitlement offer to raise $25.4 million. The offer is at 25 cents per share. Executive chairman Angus Karoll said the offer is an opportunity for existing investors to participate in WestSide's growth through the further development of the Meridian SeamGas business and the company's exploration assets. The funds are needed to maintain and increase gas production for existing and future customers from the Meridian SeamGas gas fields in Queensland's Bowen Basin. Some of the offer proceeds will be invested in a field development feasibility study for a Final Investment Decision to support possible new gas sales agreements. Another portion will be used to fund WestSide's joint venture share of exploration programs in its Bowen and Galilee Basin tenements. Preparations for the capital raising were initiated well before WestSide received the indicative, conditional, non-binding takeover proposal from Liquefied Natural Gas that was announced on 13 February. WestSide said that as there is no certainty that the indicative proposal will result in a binding takeover offer or reach any conclusion in a desirable timeframe, it formed the view that it must proceed with the capital raising to continue its production, development and exploration programs. Delay could hamper the winning of new gas sale contracts. The offer is fully underwritten by RBS Morgans Corporate. LNG Limited does not object to the issue of shortfall shares. The 25 cent issue price is 47.9 per cent below the closing price on 5 March, the last trading day for WestSide shares before the offer was announced. It is 61.5 per cent below the 65 cents referred to in the indicative proposal. Dart Energy and SSE Energy Supply Ltd have increased the volume of gas that Dart Energy can supply under their Gas Sales Agreement (GSA) in Scotland. In August 2011, Dart International and SSE entered a GSA for five years commencing April 2103 under which Dart International will deliver gas with no minimum delivery requirement and which at full volume would result in Dart delivering all current PEDL 133 2P reserves of approximately 45 billion cubic feet (Bcf) during the term. The amendment introduces a second phase to the GSA whereby for five years commencing April 2015, Dart International will be able to deliver incremental volumes of gas to SSE, on terms and conditions identical to the existing GSA. Dart International chief executive John McGoldrick said "The expanded volume of potential gas sales from PEDL 133 continues to demonstrate progress we are making against our core corporate goal - to monetize our gas in the near-term. As we have progressed the PEDL133 pilot drilling and development planning, we have been able to demonstrate greater certainty around the field's production potential, translating directly into the ability to sell more gas. "We now have forward visibility on potential sales of over 60 Bcf of gas from the PEDL 133 project, commencing as early as April. This represents around 10 per cent of the contingent resource on the block, so we believe that as we move into production and continue to mature a greater proportion of the resource, there is ability to increase gas sales and revenues even further." Lynas Corporation continues to meet resistance to its rare earths plant in Malaysia. An appeal to Malaysia's minister of Science, Technology and Innovation has been lodged under section 32 of the Atomic Energy Licensing Act in relation to the decision to approve the temporary operating licence (TOL) for the plant. The appeal will be heard in April. And in Australia, StopLynas.org is asking people to support the Malaysian resistance with a petition to Australian politicians. Stoplynas.org says 3,000 people have already signed the petition, and is moving to Care2 to reach its goal of 50,000 signatures. The petition calls on Australian politicians to place a ban on all rare earth exports from Lynas' Mount Weld operation in WA to the plant at Malaysia. Rare earths are used in our iphones, laptops, flat screen TVs and wind turbines, but their processing can produce radioactive waste. Malaysian locals near the plant say it imposed on them without their consent, and that the plant will use 720 tons of concentrated hydrochloride acid per day and leave behind 28,000 tonnes of solid waste, they say. Galaxy Resources has officially opened its Lithium Carbonate Plant, the largest-capacity battery grade lithium carbonate plant in Asia Pacific. The ceremony was attended by 400 delegates, including Australian Consul General in Shanghai, shareholders, and key customers. Final plant commissioning is underway and first production remains on track for end of the March quarter. Advanced Engine Components is to sell all of its non China business assets to Westport Innovations (Australia) Pty Ltd as part of the restructure of its operations and activities. The sale includes all Australian inventory, plant and equipment, intellectual property, non China contracts including India, France and Australia. ACE will retain all existing receivables, China inventory, China plant and equipment, and China contracts and cooperation agreements. Westport Innovations will enter into a non exclusive licensing arrangement with ACE that will enable ACE to continue to manufacture, service and sell its ACE natural gas vehicle systems in China, enter into sub-licensing arrangements with other China based groups subject to prior approval of Westpoint, and have the ability to access former ACE employees and technology on a fee for service basis. The consideration is $1.45 million and will consist of cash, the assumption of some employee entitlements for all transferring ACE employees, and the repayment by Westpoint of certain bridging finance debts of ACE and the forgiveness of the bridging finance debt owed by AEC to Westpoint. A number of conditions need to be met but completion is expected by 31 March. China is ACE's major market for natural gas vehicle systems where it is a major supplier to the medium to heavy duty engine market. China's medium to heavy duty natural gas engine market is 80,000 per year and growing at 30 per cent per annum. ACE says it has a number of competitive advantages in China including fuel efficiency, cost, emission standards and flexibility. It has ongoing trials, contracts and engine development programs with some of China's largest automotive companies, and over 1,000 vehicles use the ACE NGVS and require increasing volumes of spare parts each year. ACE will continue to employ 10 to 15 technical/engineering personnel in China with a small administrative office in Australia. However, post deal ACE will have an $8.1 million deficiency in equity, and will still need to continue its restructure. The majority of liabilities are monies owed to related parties. ACE said the major shareholders and lenders/ creditors support the transaction and it has in principle agreement that if the deal proceeds and ACE concentrates on the China market they will work with the board to restructure ACE's debt position so as to enable the voluntary suspension of ACE shares to be lifted. Dyesol's shares hit a new all time low of 16.5 cents on 5 March, but have recovered somewhat to around 19 cents. Earth Heat Resources has completed a placement to sophisticated investors in Australia and internationally, raising $2.16 million at 3 cents per share. The capital is to progress the major components of the Copahue geothermal project in Argentina. Geodynamics has received all necessary approvals to spud the Habanero 4 well and will soon commence drilling as part of its appraisal and development program. Completion is expected in four months. Geodynamics and partner Origin Energy have also sold the jointly-owned drilling rig asset, Rig 100, to Key International Drilling Company Ltd, a subsidiary of Weatherford International Ltd. The consideration for the rig and drilling equipment is $16.8 million less selling costs. Geodynamics has a new agreement with Weatherford to carry out the drilling of Habanero 4 using Rig 100. For future wells, Geodynamics will lease or use a rig hiring arrangement in line with standard industry practice. Chief executive officer Geoff Ward said the sale of Rig 100 frees up funds to continue the appraisal and development of the Cooper Basin Deeps' resource. LNG director Norman Marshall has sold 200,000 shares at 47.45 cents per share. Orocobre has completed the first resource estimate and results of initial pumping tests for its 85 per cent owned Salinas Grandes Lithium-Potash project in north west Argentina. This showed a shallow inferred resource estimated to contain 239,200 tonnes of lithium carbonate equivalent and 1.03 million tonnes of potash to an average depth of 13.3 metres. The shallow brine body has attractive grades and excellent chemistry with a low magnesium to lithium ratio of 2.5, a high potassium to lithium ratio of 12.5 and a low sulphate to lithium ratio of 5.8 in the central area of drilling, rising to 10.6 for the area covered by all the company properties over the salar. Test work since late 2010 suggests high recoveries of both potassium and lithium could be expected using a simple, low operating cost process. The low sulphate levels indicate that potash recovery would be high and as a co-product of lithium carbonate production with potentially eight tonnes of potash produced for each tonne of lithium carbonate produced. Petratherm's managing director, Terry Kallis, has been appointed chairman of the Australian Geothermal Energy Association (AGEA), the peak body representing the geothermal industry on government policy and regulation. AGEA has 26 members, primarily from exploration and development companies, and is led by chief executive officer, Susan Jeanes. Over the next few months, AGEA will be involved in advocacy with a range of stakeholders as the Commonwealth's carbon pricing initiatives are introduced. These include the carbon pricing initiative that commences from July, the Clean Energy Finance Corporation (CEFC) and the Australian Renewable Energy Agency (ARENA). The CEFC and ARENA are both planned to be established by July 2012 with ARENA having $3.2 billion in grant funding under its management of which $1.8 billion is unallocated to programs or projects. Shares in Strategic Elements hit a new low of 4.8 cents on 9 March when the company announced that its subsidiary, Strategic Materials Pty Ltd, had secured exploration rights to the Wicklow Tungsten Block 60 kilometres southwest of Dublin, Ireland. The Wicklow Tungsten Block contains an extensive tungsten system. However tungsten is an environmentally neutral mineral. The Company intends to form a separate subsidiary to progress of its projects with exposure to tungsten and gold. The Wicklow Tungsten Block will be included in the new entity. In recent shareholder moves Deck Chair Holdings Pty Ltd has become a substantial shareholder of Torrens Energy with 7.98 per cent. Deck Chair Holdings has also requested a general meeting with resolutions for the election of Messrs Gabriel Chiappini and Winton Willesee as directors and for the removal of Messrs Dennis Gee, Howard McLaughlin, John Canaris and David Eiszele as directors. Torrens said it understands that "Deck Chair is a company associated with Darien Jagger, a director of, and head of corporate finance in Perth, at Cygnet Capital Pty Ltd. Cygnet was the lead manager of TEY's initial public offering in 2007, and most recently acted as underwriter to TEY's entitlement issue completed in September 2011, and has been paid considerable fees by TEY in respect of these mandates. "In view of the relationship between the Company and Cygnet, the board of directors of TEY is disappointed with the circumstances that have arisen, and is investigating its legal options." Meanwhile, following the recent placement to AEW Holdings, both AGL Energy and John Canaris and Tracker Geoservices Pty Ltd have been diluted. AGL now has an 8.88 per cent holding and John Canaris and Tracker Geoservices is no longer a substantial shareholder. WAG's prospectus has closed without the minimum subscription being reached and the acquisition of bio char company Pacific Pyrolysis Pty Ltd will not proceed.